A Shelby G.T. 350 hurtles down the straightaway, the highly tuned Ford V8 thundering as the car streaks past the grandstands only moments ahead of a Chevy Corvette, the echo of their exhausts fading in the distance as the cars disappear into a turn. It could have been Sebring, Daytona, or Riverside Raceway in 1965, but this isn’t 1965. These sights and sounds are still unfolding across the country. The passion for recreating the historic races of the past has swept across this country like a storm over the last 35 years, but never before has it reached the level of popularity that was achieved in the mid-1990s. 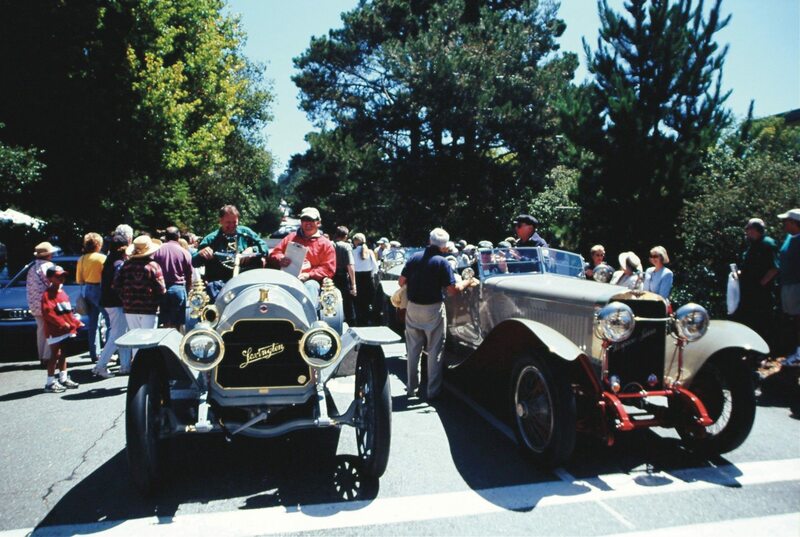 Today, almost two decades later, there are more vintage race events than at any time since the Monterey Historic Automobile Races were founded over a quarter of a century ago by Steve Earle. Vintage and historic racing has been organized and promoted in the United States for over 40 years, and today, there are events sanctioned by various groups at racetracks, airports, and street circuits across the country. Vintage racing is a unique passion among car collectors, who by nature are intent upon preserving old cars, not running the risk of smashing them into a concrete barricade or a wall of tires. It happens on occasion. Most owners, however, never reach 9/10ths of a car’s potential. Even the most experienced SCCA drivers, and ex-race drivers usually defer from such exuberance. It’s not in the spirit of the game. Still, this is racing, and every car on the track, whatever track, anywhere in the country, is a race car. When most of them were new, in the 1940s, ’50s, and ’60s, at the height of manufacturer-supported racing, GM, Ford, Chrysler and Hudson, among others, were keen on building racing versions of their cars. Victories in SCCA and NASCAR competitions were the way to increased sales of production cars, the slogan “Win on Sunday, sell on Monday” really meant something. 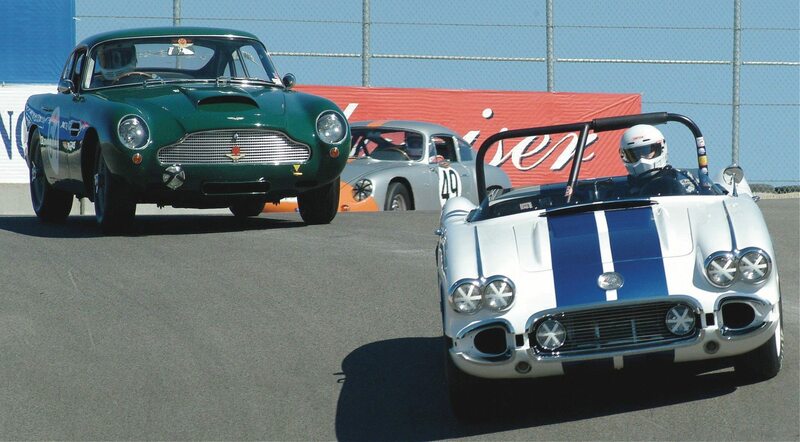 The historic battles between the Shelby Mustangs and Chevy Corvettes, from Daytona to Nassau, in newspapers and magazines and in motor city boardrooms, made these cars larger than life. And nearly 50 years later, to collectors, sports car enthusiasts and vintage racers, they still are. 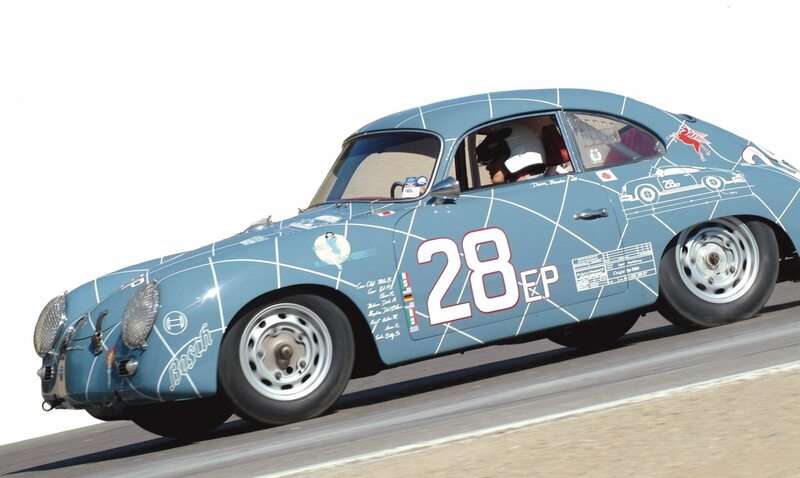 Bata Mataja’s 356A Coupe, with its distinctive graphics, has been a regular at vintage races for more than a decade. Mataja’s son raced the car at Laguna Seca in 2003. General Racing Ltd. founder Steve Earle made it clear 40 years ago at the first Laguna Seca historic races…“It’s a friendly competition. The cars running at Monterey are under a program that emphasizes originality, and are restored as close to factory specs as possible. Everybody has an investment in these cars and they are there to share the experience, as opposed to having a winner take all attitude.” Of course, there are a handful of drivers who take this sport very seriously. But just because you’re driving a car originally raced by Stirling Moss doesn’t mean you have to try and drive it like Moss. Shunts do happen, cars spin out, but aggressive driving is shunned and even Moss has been called for stints of overzealous driving in vintage races. Vintage racing has become one of America’s fastest growing motorsports. “It’s great to see these legendary cars out on the racetrack, rather than sitting in museums,” said one owner. Among vintage racers, he was probably speaking for everyone. 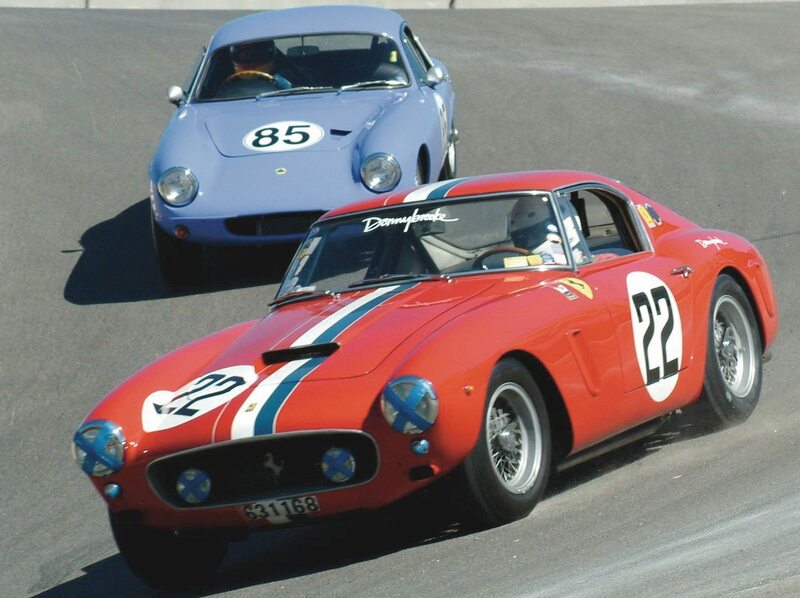 The Sports Car Vintage Racing Association (SVRA) founded in the early 1970s, has a full annual racing schedule beginning in March and running through October at such historic venues as Sebring, Mosport, Road America, and Watkins Glen. Time machines…a trio of Shelby Cobras jockey for position during the 2003 vintage races at Laguna Seca. It just as easily could have been the 1960s. Not everyone has the desire, wherewithal, or skills to go vintage racing. But they love to drive their collector cars more than just around the block or to a local show. For these dedicated enthusiasts, car tours are the ideal solution. Car tours are as old as the automobile. The first great American car tour, the Glidden Tour ran from 1905 to 1913. Today the Veteran Motor Car Club of America hosts this event, in even-numbered years and the AACA in odd-numbered years. Usually held in September or October, the Glidden Tour lasts six days beginning on a Sunday and concluding the following Friday. The Tour is open to all automobiles built in or before 1942. There is also the Chrome Glidden Tour open to all automobiles built in 1935 through 25 years old, which allows owners of newer post World War II cars to share in the joy of a classic road trip. At the very opposite end of the collector car spectrum is the One and Two Cylinder Tour, open to VMCCA members driving single and twin-cylinder cars built in or before 1915, steam cars and electric cars. The VMCCA celebrated its 75th anniversary in 2013, making it one of the Nation’s oldest automotive organizations. It is generally conceded that the Veteran Motor Car Club of America was founded in December of 1938, when 12 men met at the Hotel Statler in Boston and formulated plans for the Club. From those humble beginnings in New England, the VMCCA has grown to international stature today, with over 5,000 members throughout the world. The first VMCCA Auto Meet was held in September 1939, at the estate of John R. Macomber, “Raceland,” in Framingham, Massachusetts. More than 75 veteran cars were exhibited and early motoring celebrities present included Freeland O. Stanley, Charles B. King, Fred Marriott, Ralph DePalma and George Whitney. In 1946, the VMCCA organized the first revival of the turn of the century Glidden Tours. The Glidden Tour® has been held annually ever since. For more information visit the VMCCA. The Classic Car Club of America, founded in 1952, has held Caravans since August 1953, when the very first CCCA Caravan wended its way from the East Coast to Detroit where the Club was the guest of the Packard Motor Car Company, whose hospitality included a trek to Utica, where the Classics were exercised on the famous Packard proving ground track. Visit www.classiccarclub.org for more information. Somewhere between vintage racing and car tours are long-distance rallies like the California Mille, the Colorado Grand, New England 1000, Rodeo Drive Concours d’Elegance Tour and Copperstate 1000. These 1000-mile treks have grown into one of the most enjoyable ways to exercise older cars, see the country, and have a great time among fellow collectors. Even the legendary cars that participate at the Pebble Beach Concours d’Elegance, by and large, all take part in the annual Tour that circles around Pebble Beach and Carmel. The event has been taking place on the Thursday before the Concours since 1998, the year in which Meyer won first prize with his Type 57C Bugatti. Classics roll into Carmel during the Pebble Beach Tour. The Colorado Grand is the granddaddy of American rallies, covering over 1,000 miles through some of the most spectacular roads and scenery anywhere. The event takes place the third week of September during the start of fall when the trees are beginning their remarkable change. Entries are limited to 75 sports and racing cars built prior to 1961. Vintage Rallies also hosts the annual New England Forza Mille. “This one started out as a Ferrari meet,” explains Taylor, “and it evolved into a V12 event and this fall will be open for the first time to all exotic sports cars.” This rallye takes place in October. Unlike Concours and vintage racing, “…road rallies appeal to participants on a variety of different levels,” says Taylor. 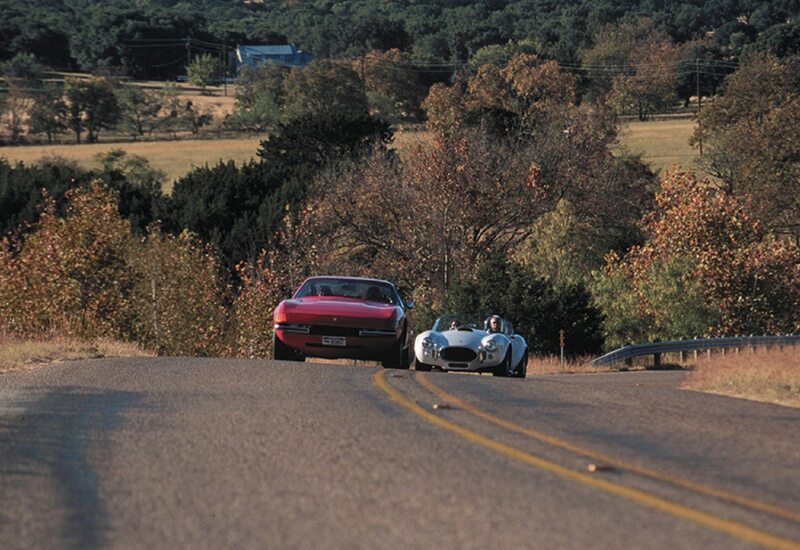 “One, you have these historic cars and there’s not much you can do with them. You can bring it to a car show, and that’s fun. You can drive it to the golf club and that’s fun, but you really don’t use it as an everyday car. Rallies provide a means to drive the cars in a way that you just can’t in a normal life. So that is one element. Another is being a part of a larger group. A lot of us live in neighborhoods where we are the only car nut and the people we see every day don’t understand what this passion for old cars is all about. A rallye is a way of being with an affinity group of people who understand and share a common interest.” For more on Vintage Rallies, Inc. visit their website. The future of Concours, tours, vintage racing, and 1000-mile road rallies in the coming years looks to be as bright as the sun bouncing off the chrome-plated windshield frame of a vintage Ferrari. Did you know that we insure race cars, too? If you have a race car or another collectible you’d like to insure with us, let us show you how we are more than just another collector vehicle insurance company. We want to protect your passion! Click below for an online quote, or give us a call at 800.678.5173.